Halloween is just a few weeks away and I have the most delightful surprise to share with you. 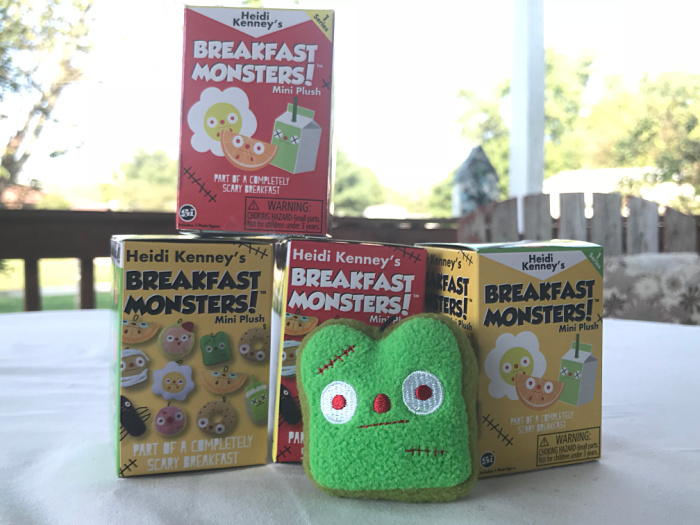 Introducing Heidi Kenney’s Breakfast Monsters! Super Impulse has partnered with the notorious artist behind the successful YUMMYs™ line (which had captured the attention of the likes of Seth Rogen and Emma Stone!) 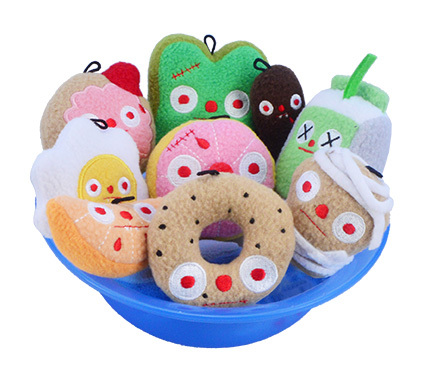 to bring this new line of cute and spooky food plush items, Breakfast Monsters! They come in a mystery cereal box, with 9 soft and squishy plush options to choose from. There are 9 adorable characters featured in the initial collection of Breakfast Monsters! —Vampire Egg, Gory Grapefruit, Spider Sausage, Franken Toast, Banshee Bagel, Muffin Mummy, and Zombie Donut – with Spoiled Milk and Orange Ogre as the chase plush characters. Breakfast Monsters! are available now online at Target and Heidi Kennedy’s website and will start at $4.99. Omg these are SO CUTE! I want them all! !